Our family took a little weekend trip to St Louis. As always, we loved spending time together! We have not heard any more on our expected travel dates for our trip to Russia. But, you know, really - we're just along for the ride. 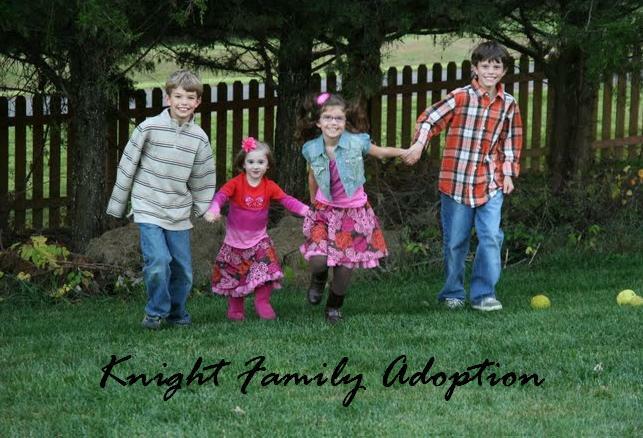 This entire adoption is God's idea. So, we're just waiting for His perfect timing. We just had a reminder that God has our entire picture in His view. Five weeks ago I broke my thumb playing volleyball. We had thought we would be traveling across the world with my hand in a cast. But, this week I have started some minor physical therapy with my hand and it gets stronger everyday. Wasn't that thoughtful of God to have us wait to travel until I am whole? It will make it much easier to carry my suitcase and click my camera! I talked with our adoption agent in St. Louis yesterday. Not too surprised, but we have another set-back. Apparently, the regional representative in Astrakhan is "out of town and will not be back until November". The contact person in Russia told us, "they meant to contact us ten days ago." Oops - just a little oversight. So, there will not be any travel for us in October. Whatever - our bags are packed and we'll just be ready. Just to re-cap and fill in our time lapses - Russia contacted our adoption agency on September 10th and asked if we could travel in October. After we said yes, we were told we would be getting our exact travel dates within a few days. After one week, they said we needed another document. After two weeks, they said they needed 3 more documents. Both times I went to Topeka and Fed-Xed the papers the very same day. As of today, we have been waiting four weeks to hear what date in October we would be traveling. That is when this new information came in that we will not be traveling at all in October. We look forward to getting our little girl as soon as possible. We do not want her to be effected by any of the dictatorship. Please continue to pray for her little mind, heart and body. We know God is sheltering her with His "feathers" as she waits to get home!